Costco members hunting for jumbo packages of paper towels or choice meats were in for a pleasant surprise last summer: They could check out a Boston Whaler, too. Starting in July, unmanned displays of Super Sport, Montauk and Dauntless models were at select Costco warehouses in the market areas of 40 Boston Whaler dealerships in a pilot program that was originally scheduled to end in September. The program delivered deep discounts and other incentives to Costco members who purchased a boat, and Costco and Boston Whaler say strong sales led them to extend it until the end of the year. This year the program is open to all Whaler dealers in the vicinity of Costco warehouses. The Boston Whaler dealerships also held mini boat shows in Costco parking lots. Costco members with no inkling that they wanted to buy a boat ogled shiny new Whalers, chatted with sales reps and decided, in many cases, that a boat might be fun to own. The sales took place at the dealerships, not the warehouses, but it was the on-site displays and website promotions through Costco&apos;s Auto Program that drove new business to Boston Whaler at a time when new-boat sales were near record lows. That&apos;s good news in itself for the builder and its dealers, but Cast says the program did more than move inventory. It boosted brand awareness and introduced people to boating. "Approximately one-third of the people buying boats through the Costco program were new to boating and about three quarters of the buyers through the program were new to the Boston Whaler brand," he says. The program was an offshoot of an arrangement between Sea Ray and Costco. 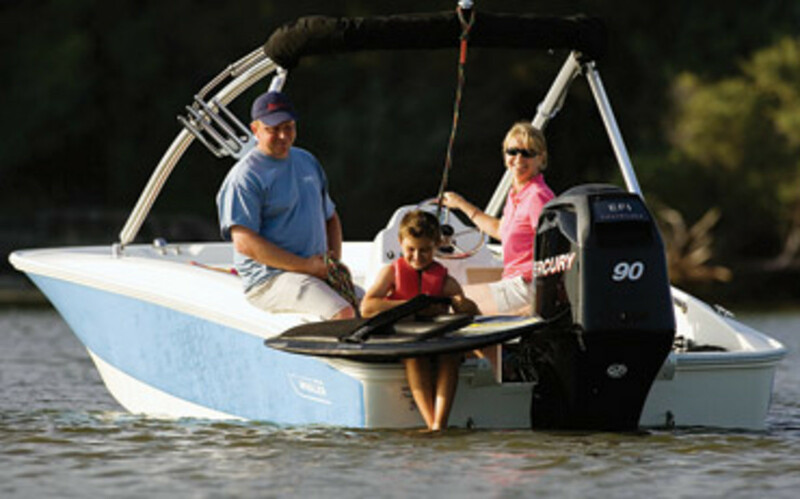 Sea Ray began a partnership with Costco in 2009 after the Costco Auto Program approached the Knoxville, Tenn.-based builder late in 2008. For Sea Ray, the timing couldn&apos;t have been better. The collapsing economy was decimating new-boat sales. The pilot program with Sea Ray started on the West Coast in spring 2009. It involved 12 dealers and translated to sales of about 200 units, says Mike Burke, Sea Ray vice president of sales and marketing. The boats were discounted. Sea Ray and Costco took the program national last February, covering roughly 150 dealers near many of Costco&apos;s 417 U.S. warehouses. "The program was hugely successful," Burke says, noting that Costco members bought about 1,000 boats in 2010 and that he expects to see significant increases in unit sales this year. "It&apos;s been the most effective partnership program Sea Ray has ever developed," he says. The results of Sea Ray&apos;s national rollout were similar to those of Boston Whaler&apos;s pilot program. More than half of the total sales were to Costco members new to boating and 75 percent of the total sales were to Costco members who were new to Sea Ray, Burke says. Costco&apos;s auto program had long provided members with value pricing on cars and recreational vehicles. Beginning with Sea Ray and extending to Whaler, both owned by Brunswick Corp., Costco added boats to what the company calls its "value proposition," according to Rick Borg, vice president of operations for the Costco Auto Program. The program is run by The Affinity Development Group in San Diego, a vendor of the Issaquah, Wash.-based Costco Wholesale Corp.
Borg says Sea Ray and Boston Whaler had the "foresight to give dealers a new way of doing business that&apos;s totally unique. It&apos;s really out-of-the-box thinking ... that no one else had tried before," he says. Both programs are based on referrals. Costco members - there are roughly 40 million in the United States - who see a boat display or boats on the Costco Auto Program website are directed to a participating Sea Ray or Boston Whaler dealer. From there, the dealer walks the member through the purchase and provides service support for the new-boat owner. The boatbuilders and Costco decide the prices for boats sold through the program, removing the haggle factor for the customer. "One of the advantages of both programs is that they create a relationship of trust between the dealership and the Costco member that removes the sometimes adversarial negotiations that take place in the purchase of a boat," says Rod Malone, president of Sail & Ski Center in Austin, Texas, which has three locations and sells Sea Ray, Boston Whaler and other brands. "The price received by the members is truly the best price available and they know it." In Boston Whaler&apos;s case, the program discount was as much as $2,000 and the member received a $500 Costco Cash Card after completing a post-purchase Costco member survey. Costco, Sea Ray, Whaler and the dealers are working as partners to provide the incentives. "Everyone has skin in the game," Borg says. For Costco, the skin is adding value for members by extending purchase options to boats and guaranteeing the lowest price and the best service from the dealer, Borg says. Costco also plans to include pontoon boats, bass boats and ski/wakeboard boats, he says. The Costco incentives definitely eat into profit margins, Malone says. "If we sold 100 percent of our boats only to Costco members, we&apos;d go out of business because the profit margins would not sustain us," he says. "But [the program] is limited primarily to entry-level boats and it&apos;s designed to bring new people into boating. As a result, it&apos;s our investment in the future, as people will move into other boats in their boating lifestyle." The dealers in the Boston Whaler pilot program were located around the country, while Sea Ray&apos;s were solely on the West Coast. The process was new to Sea Ray and Costco, Burke says, so they kept the pilot program small. For Whaler, the pilot program included only dealers that had also sold Sea Rays through Costco&apos;s national program, reducing the learning curve and "accelerating success," Cast says. "They were able to translate their success with the Sea Ray program to success on the Whaler front in a very short time," he says. Sales were robust for the three Boston Whaler models in the pilot program, Cast says, but the Super Sport boats outpaced the Montauk and Dauntless. "Costco and its members are enjoying good boats and values, and our dealers are enjoying incremental sales to consumers that they would not have otherwise been able to reach," Cast says. By all accounts, the Sea Ray and Boston Whaler programs are a hit with Costco members. "We survey every member who buys a boat and 99.5 percent of our members rate the programs as good-to-excellent for Sea Ray and Boston Whaler," Borg says. "We get very high ratings for the professionalism of the people they deal with at the dealership. Everything is about giving the best value to our members. That&apos;s what Costco is all about and so the program is a natural fit for us, for dealers, for the manufacturers, but primarily for our members."